Sam decided to add yet another blue plaid shirt to his wardrobe. This one is a non-western, plain blue plaid. It does up with buttons and appears to have no pockets. It’s a blue medium plaid. 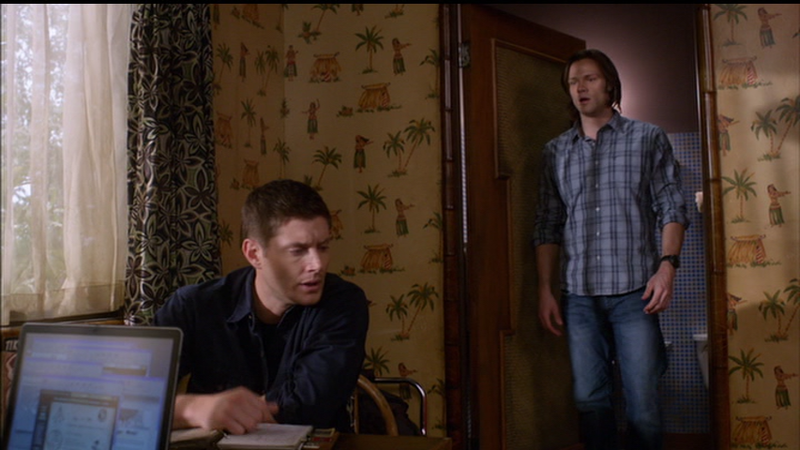 In Plucky Pennywhistle’s Magical Menagerie (7x14), Sam wears it when they are researching what the monster could be at the hotel, and then again later when Sam follows the employee and her son home thinking that they are the next targets – only to be chased and attacked by killer clowns until Dean rescues him. 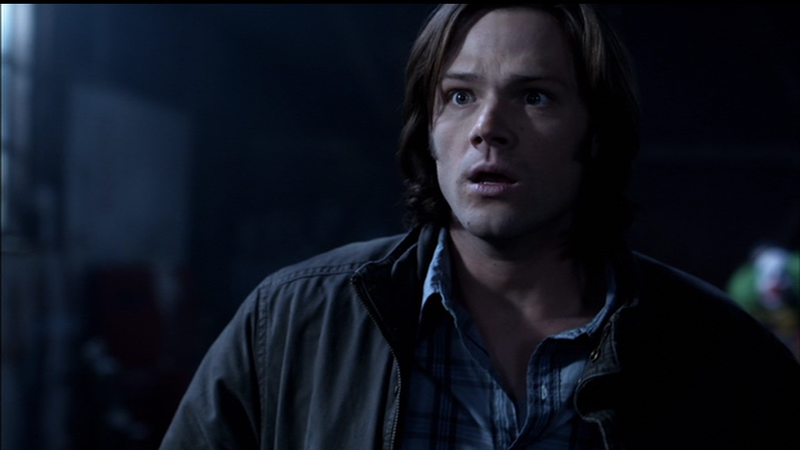 In Southern Comfort (8x06), Sam wears this shirt at the beginning of the episode when he and Dean are getting a snack and Dean finds the job and in the middle of the episode when they go to the graveyard to find and then torch the bones of their suspected spectre. I'll have to wait until next fall when I do S8 to see if he wore the shirt again (it's too much of a common-looking shirt for me to casually see it while I watch S8 the first time.) 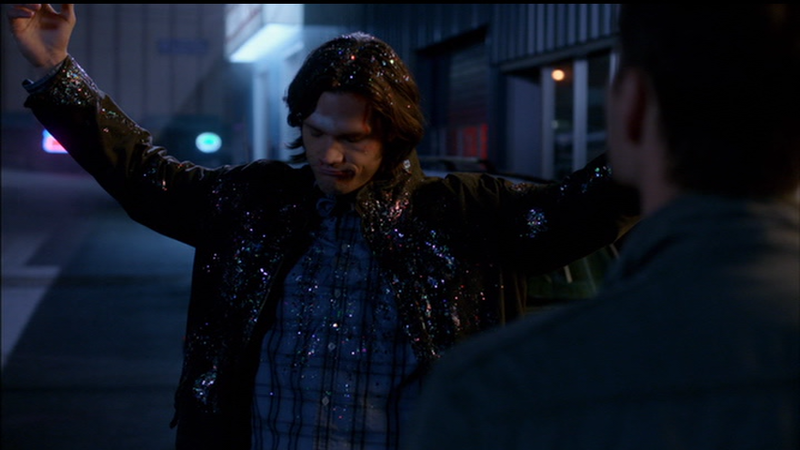 But, he DID wear the jacket again in 7x17 - so at some point, Sam DID have to find a way to clean that glitter up!